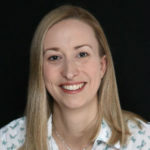 Andrea Burden is an Assistant Professor of Pharmacoepidemiology at the ETH Zurich. She received her PhD in pharmacoepidemiology from the Department of Pharmaceutical Sciences at the University of Toronto in 2014 and received a Canadian fellowship to conducted her post-doctoral research at the University of Maastricht (2015-2018) in the Netherlands. Dr. Burden’s research focuses on using pharmacoepidemiologic methods to advance the assessment of medication safety and effectiveness in chronic diseases. While, her research profile includes publications in a variety of clinical areas, Dr. Burden’s main area of interest is the role of obesity in the safety and effectiveness of medications used for inflammatory musculoskeletal diseases. This includes both traditional “big” pharmacoepidemiologic data and biomarker information to better identify patient-specific strata that can inform clinical decision-making and improve treatment success. Throughout Dr. Burden’s career she has published in top clinical journals, including the British Medical Journal, presented at International conferences and has received numerous competitive research and presentation awards. In addition to her research, Dr. Burden is actively involved within the scientific community: including being a founding member of the European Calcified Tissue Society Academy and co-founding the University of Toronto student chapter for the International Society of Pharmacoepidemiology.